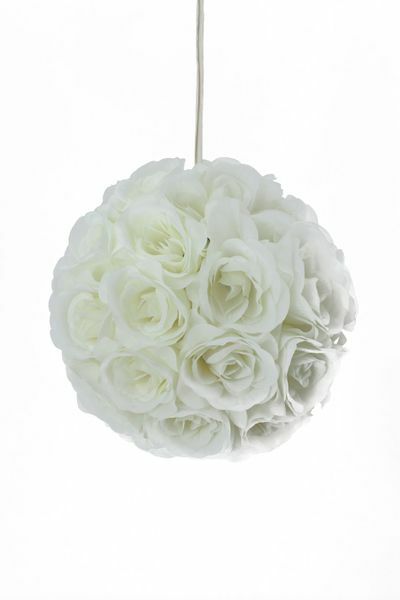 Home > Floral Decor > Flower Balls & Heads > Flower Ball - Silk Rose - Pomander Kissing Ball 8.5" - Ivory -BUY MORE, SAVE MORE! Flower Ball - Silk Rose - Pomander Kissing Ball 8.5" - Ivory -BUY MORE, SAVE MORE! Our Kissing Pomander Balls come in a huge variety of colors and are covered in high quality silk roses and are ready to be a key decorating element in your upcoming special day! Hang Pomanders from Shepherd's Hooks, from Manzanita Centerpiece Trees, or from Branches and Sprays in your floral Decor. 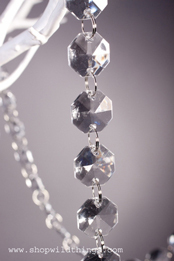 Top a Vase with a Rose Ball and hang strands of our Crystals from them. 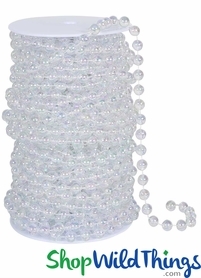 Use the attached matching Satin Ribbon to hang them up if you'd like, or remove it and add a strand of pearls (we sell inexpensive Rolls of Pearls!) to hang them from. 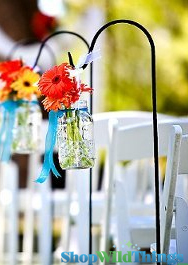 We think you could also really "fancy them up" by adding a short portion of Crystal Garland and attaching a Crystal Pendant to the bottom. If you'd like our help with this, just give us a call! 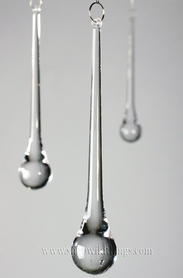 We offer our Flower Pomander Kissing Balls in 4 1/2", 6", 8 1/2" and 10 1/2" diameters. Try mixing the sizes and colors! The Roses are gloriously beautiful, and full and about 4" wide. We shopped and shopped trying to find Rose Balls that looked like real roses, didn't look cheap, but did not have the price tag of fresh flowers. We feel that this style will meet the needs of discerning buyers without a cost that will break the bank.